Bart Tare loves guns. So much so that, as an adolescent, he smashes a store window to steal one. Busted by the cops, he’s sent to reform school until he’s of age. After a stint in the Army, Bart returns to his hometown, and with old pals Dave and Clyde, attends a carnival. It’s there he meets Annie Laurie Starr, a trick-shot artist. There’s immediate heat between the two, as their mutual love for guns is surpassed only by their unabashed lust for each other. Bart bests Laurie in a shooting contest, and he’s asked to join the carny. When Bart catches owner Packy trying to put the moves on her, he shoots, shattering the mirror behind the boss, who promptly fires them both. The two get hitched, despite Laurie telling Bart she’s “no good”. They live it up awhile in Vegas, but when their money runs out, Laurie suggests they turn to robbery. Bart’s reluctant, but Laurie’s sexual sway over him is too powerful, and they go on a mad crime spree. They start small, and wind up pulling a bank job. This scene is done in one long take, shot from the backseat of Bart and Laurie’s hot car, and the tension is ratcheted high as can be from start to finish. It’s a pure adrenaline rush of a scene, and the thrill in Laurie’s eyes as they make their getaway says more about her character than words could do justice. 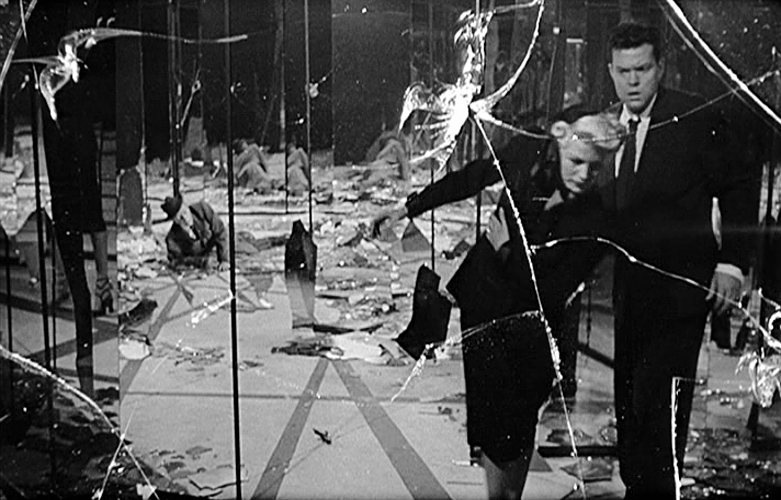 They plan out one last score, taking jobs in a meat-packing plant in order to rob the payroll. Bart tries to play it cool, but kill-crazy Laurie shoots her supervisor and a guard during the escape. They separate into two cars, planning to meet later. But the codependency they have for each other is too great, and they can’t even make it down the street without rushing back to each other. The duo plan on heading to Mexico with their loot, but go out for a night on the town first, where the serial numbers on the bills lead the FBI to them. Scramming out of town, leaving their money behind, Bart and Laurie hop a freight train to Bart’s sister’s place. Bart’s childhood friends, now a reporter and sheriff, confront Bart, hoping he’ll give himself up. But it’s no use, as Bart and Laurie speed off, police in hot pursuit, driving up into the mountains where they meet their final destiny. 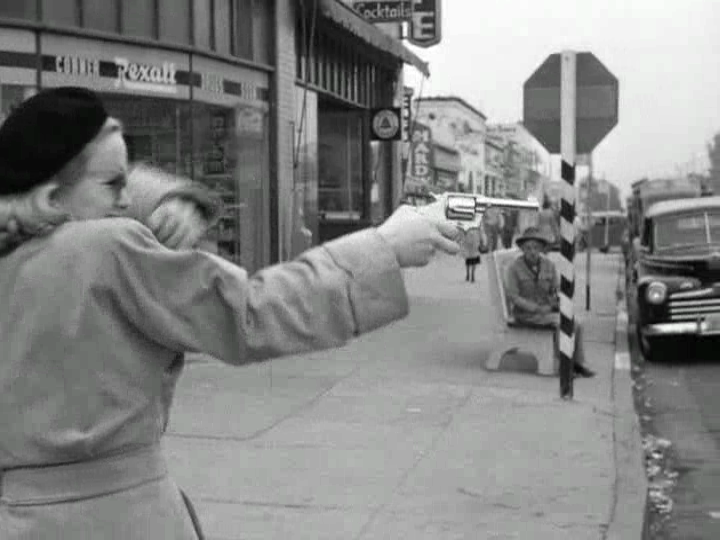 Peggy Cummins as Laurie is the baddest of film noir bad girls. When she tells Bart she’s never been good, she means it. There’s something in her eyes that tells you this is one sick chick, not afraid to kill to get what she wants. 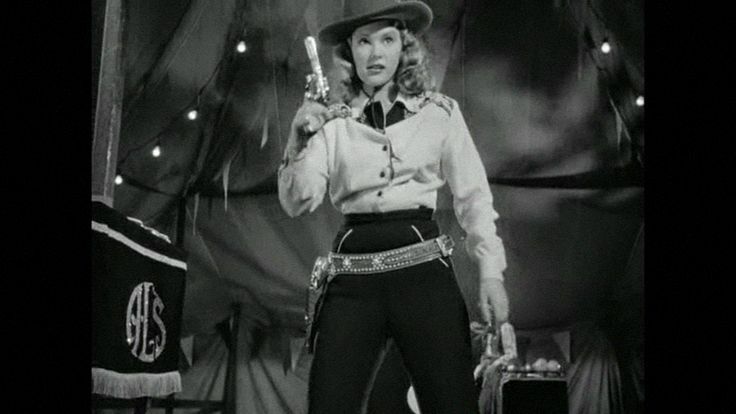 It’s a tough, realistic performance that puts Cummins in the pantheon of femme fatales with Claire Trevor and Ann Savage. The Irish actress tried her hand at Hollywood a few years, but moved back to England after this film. Her most notable other role was in Jacques Tourneur’s horror classic CURSE OF THE DEMON. As of this writing, Peggy Cummins is still with us at age 91, occasionally granting interviews to fans who’ll never forget her as the wild, sensuous Annie Laurie Starr. 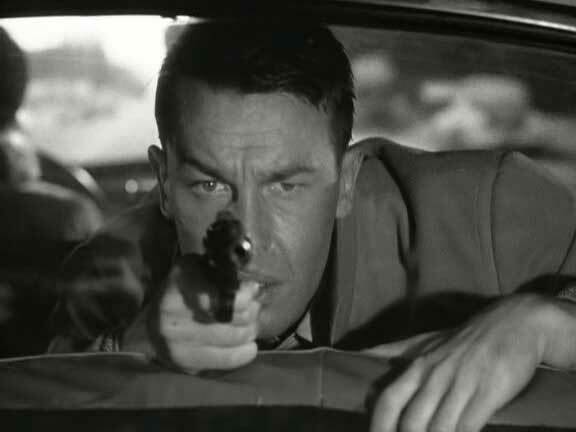 John Dall (Bart) made his debut in 1945’s THE CORN IS GREEN, earning an Oscar nomination in the process. He was one of the young murderers in Alfred Hitchcock’s underrated ROPE, but his film career never quite got off the ground. His Bart is a conflicted man, an expert marksman afraid to kill (a flashback tells us why), and unable to say no to Laurie. Bart knows he’s doing wrong, but his desire for her is so strong, he’s willing to go to any lengths to keep her. It’s a tricky part, but Dall is more than up to the task. Adolescent Russ Tamblyn plays Bart as a youngster. Other cast members include Berry Kroeger, Morris Carnovsky, Anabel Shaw, and Nedrick Young, who was blacklisted and became a screenwriter under the alias of Nathan E. Douglas, penning Elvis Presley’s JAILHOUSE ROCK, THE DEFIANT ONES (for which he won an Oscar), INHERIT THE WIND, and SECONDS. Screenwriter Millard Kaufman was actually another victim of the blacklist, Dalton Trumbo, now relegated to B-movies. Director Joseph H. Lewis was a veteran of the B’s, learning his craft on Westerns and East Side Kids flicks. He was in the director’s chair for THE INVISBLE GHOST, the best of Bela Lugosi’s Monogram series (which is faint praise, given the quality of the others). 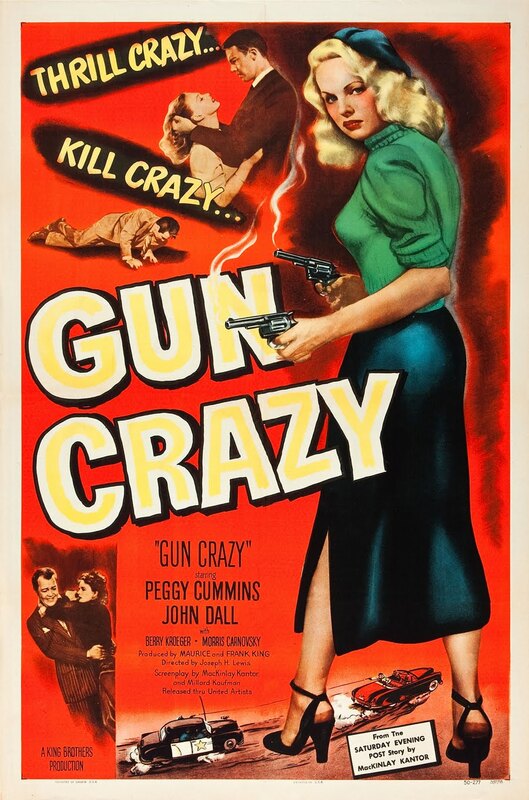 Lewis made the well-regarded MY NAME IS JULIA ROSS and THE BIG COMBO, but GUN CRAZY is his magnum opus. Using every trick at his command, Lewis (along with cinematographer Russell Harlan and editor Harry Gerstad) keep the pedal to the metal as Bart and Laurie fall farther and faster into a life with no way out. And finally, let’s talk about the producers. Frank and Maurice King (née Kozinski) were a couple of shady characters straight out of Damon Runyon. Turning their slot machine empire into an entry to Hollywood, the King brothers hit the jackpot with 1944’s WHEN STRANGERS MARRY, a noir thriller starring Robert Mitchum and Kim Hunter directed by William Castle. The film got noticed, as did the King’s next, 1945’s DILLINGER with Lawrence Tierney as the notorious gangster. They went on to produce low-budget but moneymaking pictures right up until 1969’s HEAVEN WITH A GUN, starring Glenn Ford. A third King brother, Herman, is credited in GUN CRAZY as “technical advisor”. I don’t even want to guess what that means in a movie like this!